in both Southeast Missouri and Southern Illinois. For worry free gutters, Dutch Guttering offers Leaf Off gutter protection systems, that eliminates the need to clean gutters. debris from clogging your gutter. Visit our Products and Services page for a complete list of our offerings. Slowly pour water out of a glass. Surface tension or liquid adhesion causes water to cling to the glass as it spills. Leaf off works the same way! 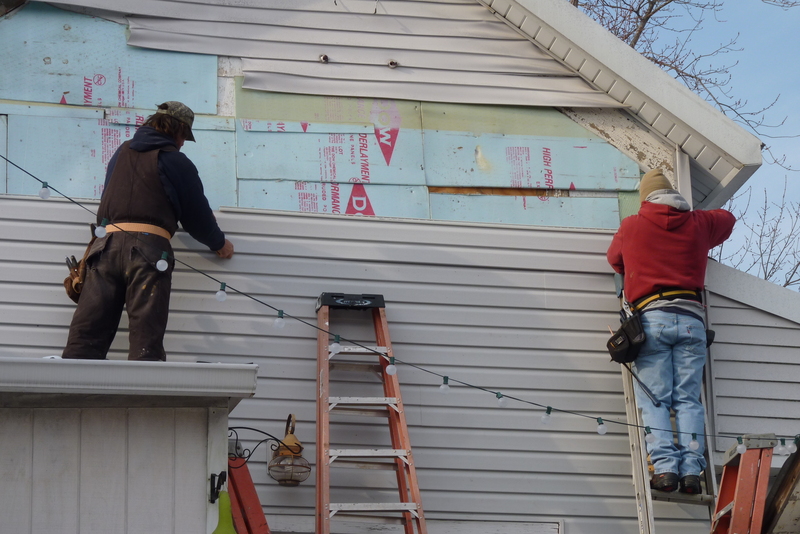 Our multi-rib panel slows and disperses the water as it nears the gutter. Like water running down the side of a glass, rainwater bonds to the surface of the panel, flowing down and around the curved nose into the gutter. The LEAF OFF curved nose forward design, with no vertical openings, allows water to enter the gutter…leaves, pine needles and seeds are directed to the ground. 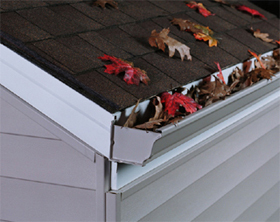 Our patented sturdy-clip securely locks LEAF OFF to the top of the gutter. Secure enough to withstand winds up to 90 MPH. A continuous 3/8″ open water channel will handle the heaviest downpours while keeping out birds, nests and debris. Dura-Life paint finish will not blister, peel or split. In addition, LEAF OFF guarantees it will not fade for 20 years. 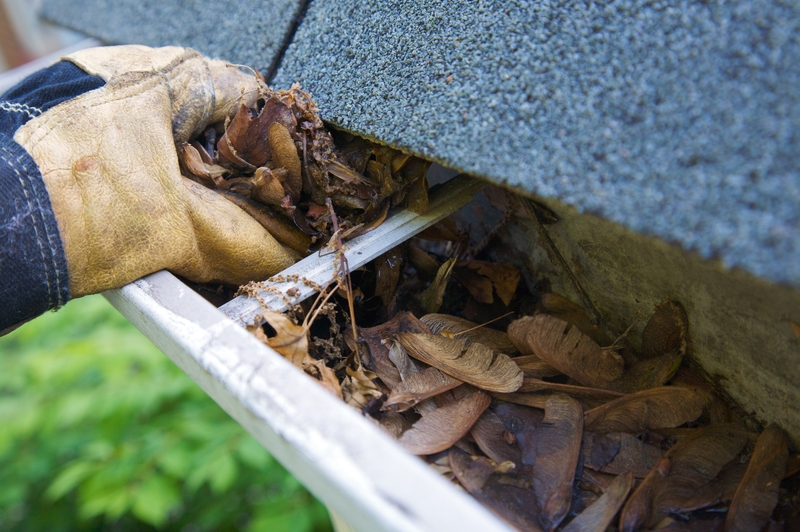 PREVENTS CLOGGED GUTTERS – which can damage your basement, foundation, landscaping and shrubbery. 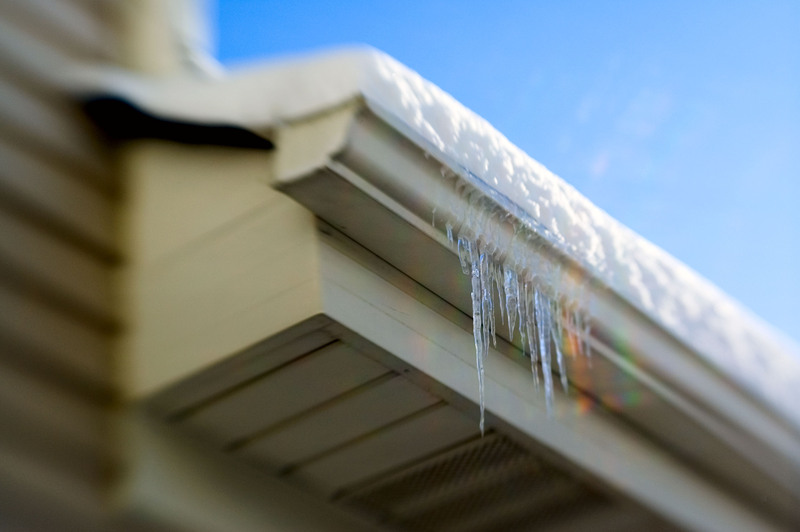 HEAVY .024 ALUMINUM – protects your gutters from the buildup of ice and snow. LEAF OFF has been tested and can easily handle up to 22 inches of rain per hour. 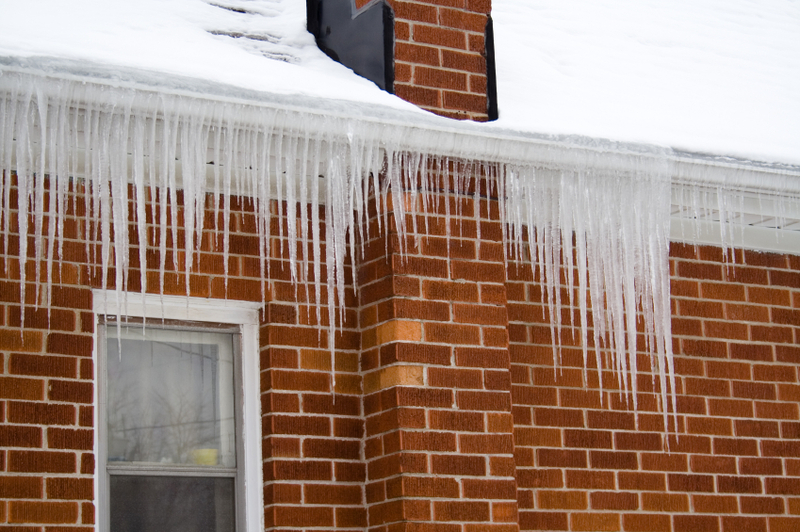 The weight of ice and snow in your gutters is the leading cause of damage to your gutter system. LEAF OFF will support the heaviest loads of ice and snow. LEAF OFF is backed by a lifetime, transferable warranty. After installation, your dealer will provide you with a written copy and explain all the details. Your warranty will be registered and mailed to LEAF OFF corporate headquarters. 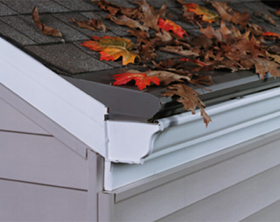 Best yet, the LEAF OFF warranty is backed by Truss Gutter Products. LIFETIME WARRANTY – even transferable to the new home owner when you sell your home. EASY INSTALLATION BY QUALIFIED PROFESSIONAL – installed over your existing gutters, no need to replace gutters or downspouts.